So I have today this really gorgeous polish that I love, but is sooo not even a little summery haha. This is Buried Alive from Orly's Dark Curses collection, and it's just an amazing shimmery, glowy brown. I wasn't usually a fan of brown polish, but I think that if there's any shimmer or something, I'm automatically in love. This has a pretty morbid name, but I guess I get it in the context? I don't really know much about the movie this collection is based on, but I'm definitely glad that this polish came out because of it! 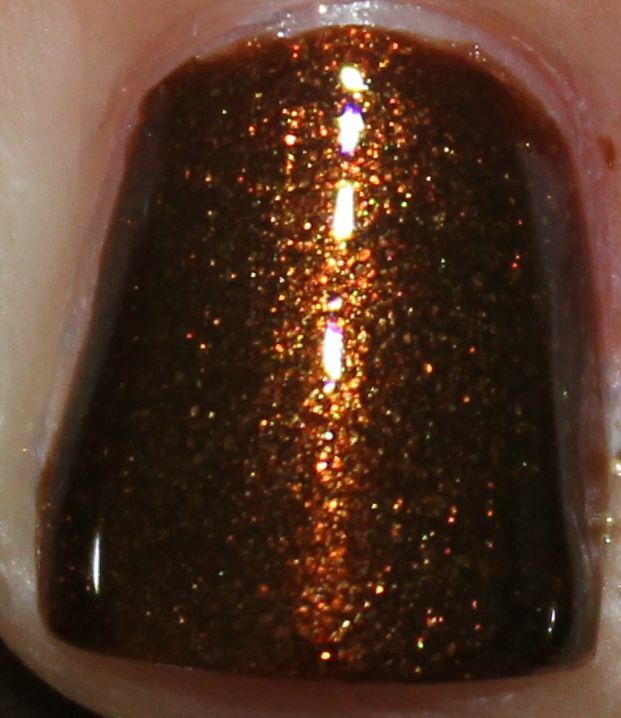 Mmmmm shimmer<3 The formula on this was really great, 2 smooth coats. Really pigmented, too! In my opinion the collection wasn't much to write home about, but this one stands out in a good way! It's gorgeous. Not summery but so beautiful!! really want this one. I saw this at Sally's and was immediately drawn to it. I should have picked it up then... it may not be "summery" but it still is gorgeous. The shimmer is very complex! Oooh. It's not summery, but still lovely! The shimmer is so gorgeous! I'm like you, not a usual brown polish fan, but I think you're right about the shimmer: it makes this polish really stand out! this and Chocolotta Love are my 2 browns that i really love. they're turning me!! What a great shimmer this one has! Really beautiful!